Compare prices on car hire in Rungis from all the major brands and find the best deals. When you book through us, unlimited mileage and insurance are always included in the price given. 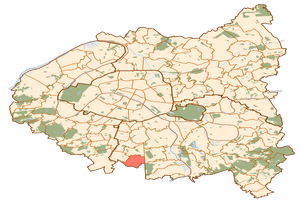 Rungis is a municipality in the southern part of the capital Paris .Rungis is situated in the department of Val-de-marne. The city is located 12 kilometers outside the center, and has about. 6,000 inhabitants. to be the world’s largest of its kind. Since the 1000’s have been traded food here, in the area which today is called Les Halles. In 1969 the area was moved to one of the city’s suburbs. 13,000 jobs here every day. The nearest airport is Paris Orly , just two miles from Rungis.